If you’ve never read a book about horse racing or you’re looking for the best horse racing book, let’s explore with us in this post. First of all, we send you a list of the best books with the story of horse racing. Note that this list does not include handicapping books or books that help you with the skill of choosing the winning horse in the race. So with these problems, you can find a more suitable list, and that’s an entirely different story. We will tell you “our story” about the best horse racing books. Which best horse racing book will you choose for yourself? Next, we want to bring you more details of these favorite books. Let’s take a closer look at one by one. 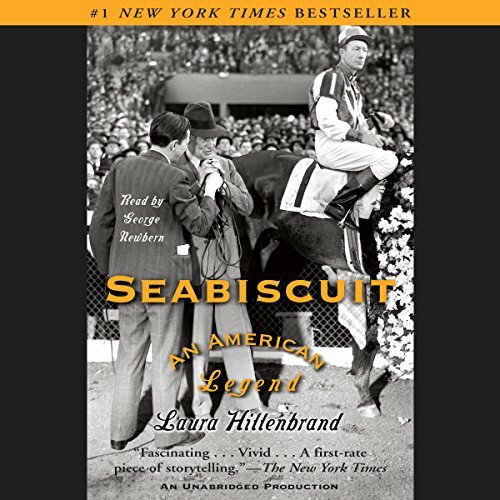 You will love the book that tops many of the best book lists about horse racing, the Seabiscuit. The author of this book, Laura Hillenbrand, has produced two famous nonfiction works which are Seabiscuit and Unbroken. The author has recreated a story of a universal underdog about the adversity of the character of animals and the less-discussed stories in American society to prove life is a difficult horse race. Do you want to read the number one bestseller New York Times right away? The story depicts a great horse with three men making an era in American sports history. They changed the fortunes of the horse named Seabiscuit. Charles Howard became a millionaire when he brought cars to Western America. He hired Tom Smith to train his new racing horses. Smith had advised Howard to buy Seabiscuit. Then he recruited Red Pollard, a failed boxer with one blind eye and half-paralyzed, to be a jockey. The miracle happened after that. For four years, the three of them together with Seabiscuit survived terrible luck, with great plots and big injuries. They turned Seabiscuit from an unnamed horse with a crooked leg and tail into an outstanding American sports icon. You can watch the movie adaption from this book, but remember reading stories through book pages is always better. You can learn a lot of horses and racing. It gives you a great story about horses, owners, coaches, and jockeys. The author develops the characters thoroughly, including the horse. The author’s description makes you feel like you are really in a real horse race. It is a good and touching story that will bring tears to you. This book is a readable, reliable and lovely thanks to the collection of material from various sources by the author. One thing to note for you: The first half of the story will be lengthy and boring but become more incredible when you read the next part. If you love the breeding and thoroughbred horse racing, you’ll want to read this book because the author is a breeder writing the story behind the Kentucky Derby winner. 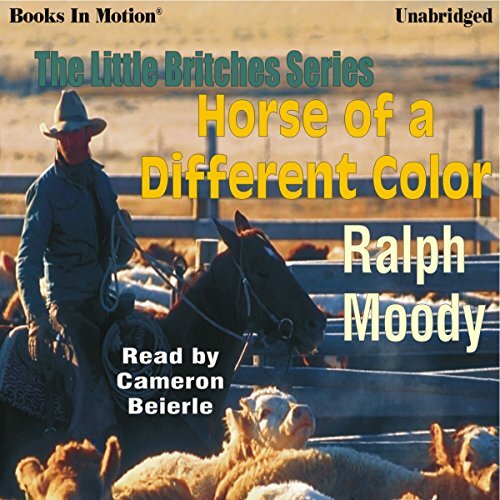 It is the Horse of a Different Color by Ralph Moody. In the early 1920s, cowboy, and farmer Ralph Moody found himself indebted to the mountains through the collapse of the livestock market and a partner’s dealings. Therefore, he sought to turn tragedy into opportunity with the support of two friends George Miner and Ellie Simons. This book was about Moody’s experiences when he was an animal dealer in Kansas. It also refers to those who dare to earn a living from the area of arid droughts, intense heat, and severe storms. The author takes you on an exciting journey through the close and secret world of horse breeders, buyers, sellers, owners, and trainers. Readers can also accompany the author’s trip when Monarchos, the charismatic gray horse with extraordinary speed, poise, and stamina, joins the Derby Trail and records Derby’s fastest victory time since Secretariat. You will enjoy farming, planting, and farmers with lively stories through the writing of the author. The books have lots of details for you to feel you’re there with the character. It also contains so much love and humor that you can’t stop reading. It includes eight motivating books for young people. It describes farms, sales and planned transactions for those who like to learn about breeding operation and sales of pure horse racing. The last part lacks the deep excitement and emotion as the first books of this series. People consider the book as a moving portrait of the strong connection between humans and horses. 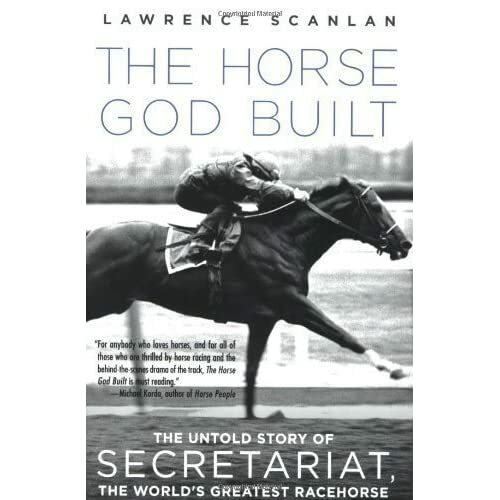 It is The Horse God Built: The Untold Story of Secretariat, the World’s Greatest Racehorse by Lawrence Scanlan. Most of us know the legend of the Secretariat, the tall and good-looking horse that won many victories in horse racing, but few know about who plays a vital role in this horse’s success. This book is a story about him, Eddie “Shorty” Sweat. He is the loyal groom, best friend and devoted guardian of the Secretariat, so he knows the horse very well. He is also a generous man with a big love for horses. He shared little about the financial success of the Secretariat victories, but always gave it gentle words and unrelenting devotion. You will learn about the racing world through the groom’s perspective and the life of a man who spends every possible moment with the horse he loves, ignoring all its glory. And it is what attracts readers all over the world. The book gives you insights into the relationship between people and horses with immense love. The race in the story gives you overwhelming emotions and great feelings. It honors those who work behind the scenes in the horse racing world. This book shows the need to treat the horses we meet and those who take care of them with respect. The book is for horse fans and especially the Secretariat lovers. The only thing you may not like is the little book of illustrations. The best book is for horse fans and horse racing. Once you read it, it will be difficult to drop the book because it has a fascinating and thrilling story. 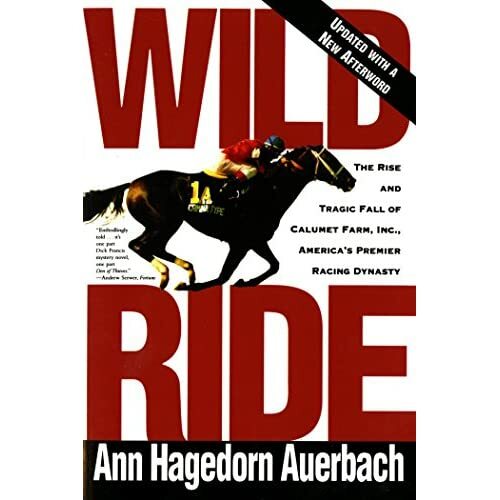 We are talking about the Wild Ride: The Rise and Tragic Fall of Calumet Farm, Inc., America’s Premier Racing Dynasty by Ann Hagedorn Auerbach. It describes the investigation by Ann Hagedorn Auerbach about the multi-billion dollar thoroughbred industry and the collapse of Calumet. The fast-paced story goes through four generations that brings many unique characters from the Calumet’s flashy era. The book also records Calumet’s history and his fall into the massive debts with thorough research helping to clarify Calumet’s destruction and exposing the redundancy of the 1980s. The attraction of the book is that Auerbach journalist untangled the spider web of financial intrigues covering, consuming and destroying this world-famous horse stable. The book is extremely informative and exciting. It is also carefully researched about the thoroughbred racing industry and how it has changed over the past half-century. The story of the intrigue and life of the rich and powerful is fascinating. This story warns you of the destructive power of greed and when to stop. You can know all the financial details and terrible deals in the racing industry. Published shortly after the fall of Calumet, it lacked updates on the results of subsequent litigations. However, you can purchase new versions of books with this additional information. A book that gives you a new perspective on the personal win, loss, and also talking about gamblers, gambling, and life at the track. You can join author Ted McClelland on an adventure through this book’s story, the Horseplayers: Life at the Track. The title summarizes what the author wants to convey throughout his nice story. 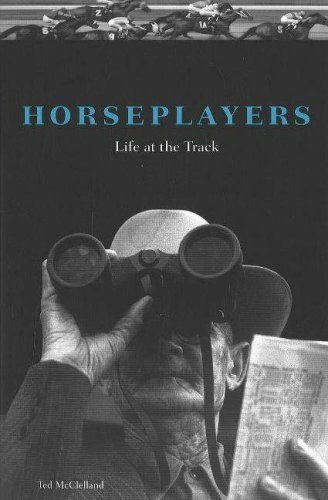 To complete this book, Ted McClelland spent a year at racetracks and out-of-band betting facilities in Chicago and across the country that attracted many horse gamblers. You will follow the author’s itinerary to know what it means to be a player when he gambles using various betting and handicap strategies. Although the work is full of fun and witty behind the scenes at the track, the readers can recognize the message the author wants to give. Here’s an interesting thing for you. You will “meet” many unforgettable characters including Scott McMannis, a strict professor teaching a handicapping course, and Mary Schoenfeldt, a former nun and a talented handicapper giving all her winning money to a charity organization. The book is highly appreciated for its humor and insights in the story-telling of the author. An interesting memoir tells about an ordinary fan who becomes a horse racing enthusiast. You will be happy with the author when earning tickets with proper payments and fighting for the winner in the final race. You will understand the dreams and frustrations of racing fans on the track. A story that helps you “visit” many large and small racetracks and lots of materials about off-road betting at great American tracks. The story in the book does not seem to be for seasoned players. If you’ve read this section, you’ve chosen to give yourself a book to read this summer or a great gift for anyone who loves horses and horse racing. Now it’s your turn to make a decision. We choose books primarily based on personal preferences. Therefore, it is tough to select your favorite book unless you make your own decisions. With books on horse racing, you can see many types, about racetrack stories, about choosing winning horses, handicapping or betting, etc. In our opinion, the stories of real or non-fiction books about the race and the love for racing horses attract us. That’s why we sent you this suggestion list. We couldn’t take our eyes off the book Wild Ride during the summer because of its appeal and laughed out loud when exploring the betting tricks in the book Horseplayers: Life at the Track. Let’s choose a book immediately from our top 5 best list to accompany you in the hours of relaxation. We believe you’ll have more love for horses and racing.